Did pride, overconfidence bring the fall of Vasundhara Raje in Rajasthan? 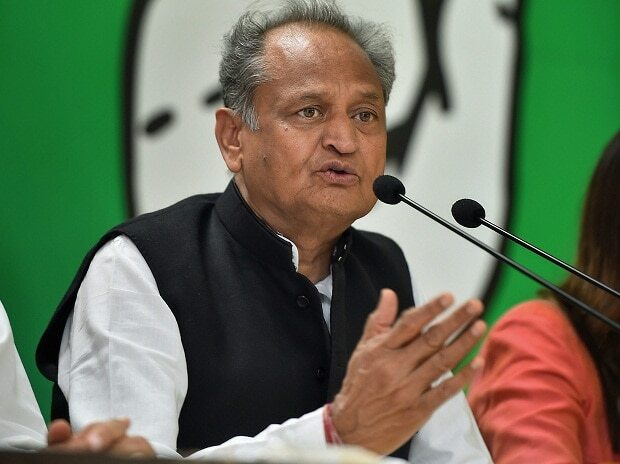 The Congress on Thursday won the Ramgarh Assembly seat in Rajasthan, taking its tally in the 200-member house to 100. Congress candidate Shafia Khan won by a margin of 12,228 votes after polling 83,311 votes. Her nearest rival, BJP's Sukhwant Singh, got 71,083 votes. An overjoyed Shafia Khan said: "This is a victory of the people. I congratulate the people for this victory. "The BJP talks too much and does little. They closed the schools which we had started, they were biased in implementing the social welfare schemes and hence people wanted to come out of the polarized environment they had created. "So people have voted unitedly for the Congress," she added. While Shafia Khan got 44.77 per cent of all votes, the BJP's vote share was 38.20 per cent. Senior Congress leader Suresh Chaudhary told IANS: "The Congress has built its credibility amongst voters by fulfilling all its promises made in its manifesto. People in the state are fed up with the polarization prank being played by the BJP. "This broad margin of victory speaks the story," he said.